When I was a child, after a bruising (I'll get to that in a minute) verbal fight with one of my brothers, and after I had cried out "Mom, he called me a _________! ", the usual reply would be "Sticks and stones can break my bones but words can never hurt me." This was surely one of my earliest experiences of cognitive dissonance. I hope parents and other adults no longer say this to children. As I look around online, I am encouraged: there are many variations on this old chestnut, most of which make a point of directly contradicting the meaning and intent of the original. That's as it should be, because we all know that words can hurt, in nearly sense of the verb: be the source of pain, give trouble or pain to, cause emotional anguish or make miserable, cause damage or affect negatively, and hurt the feelings of. In order to even make the foregoing observation, it's already clear that the conceptual metaphor equating emotional and psychic distress with pain and bodily damage is alive and well. It's so alive that we don't generally find it necessary to distinguish psychological adversity from its physical counterpart with separate vocabulary. English has a few words that are reserved for nonphysical adversity—distress and anguish, for example—but in most cases our go-to words for troubles and trials of all kinds originate in words for physical harm. Is it so in other languages? Perhaps readers can say. Let's look at the behavior of some nouns, verbs, and adjectives in English whose primary and original denotation involves physical contact, physical characteristics, violent impact, and damage. How do these words behave in contexts where no physical objects are flying about? The nouns and verbs that we typically use to characterize forceful and hostile contact all entered the language long ago, and there is a pattern to most of them being confined to characterizations of physical objects for a short time after their appearance in English. There's attack, a handy verb (16th century) and noun (17th century) that is still the main go-to for military action. The verb had been in circulation for only a few decades before it became possible to attack someone using words only. When the noun came along, it slipped very easily into a semantic slot that characterized both physical and verbal violence. When we read a headline today that mentions Trump's attack on OPEC or Roger Stone's attack on Barbara Bush, we needn't even consider whether either man was wielding a tomahawk. It remains popular today for bad news to "come as a blow," a simile that still recognizes the primary physical denotation of the noun. Headline writers are fond today of "deal a blow". These blows are typically in the form of legal instruments that constitute speech acts. And it should be no surprise that such speech acts are characterized as blows--because you can be hit with them! No one wants to be hit with a bullet or hammer, but "hit with a lawsuit/fine/penalty/charge" are all quite a bit more common in modern English than the first five physical projectiles you can think of. And surely you've read in the news recently about tariffs. The media's preferred verb to characterize the promulgation of tariffs is slap: "US slaps 75% tariff on Korean steel pipes"; "China slaps tariffs on US pork, apples, and more". Slap also shows up with appreciable frequency in contemporary language in relation to fines, lawsuits, and charges. Have you bashed anyone lately? Bashing that people did in the 18th and 19th centuries was likely to involve heavy blows that left a discernible impact on a surface. In the 20th century, blunt instruments could be laid aside because bashing could now be accomplished with mere words. As you can see in the cites below from the Corpus of Contemporary American English, a favorite object of bash is him. But in most cases, the bashee does not end up with lesions or contusions unless a body part or bodily fluid is mentioned. In the language of headlines, bashing is nearly always done with words rather than with weapons: "Trump doing what he bashed Obama for"; "Hospital merger bashed by critics"; "Simpsons bashed for response to racism debate." Bash has become, effectively, a short and punchy word for criticize. When bash does not seem punchy enough to characterize the force of criticism, there's always blast, a noun and verb that applied originally to forceful gusts of wind, and now is used to characterize forceful gusts of censure: "Human rights groups blasted the State Department's annual human rights report"; "Capt. Eric Gust, vice president of operations for Allegiant Air, blasted the CBS report as one-sided." No one likes to be on the receiving end of criticism, and this is surely due in part to the sorts of painful words that characterize it: criticism may be scathing, biting, withering, or stinging. Though scathe is now somewhat antiquated as a transitive verb, it means "to damage, harm, or hurt". Criticism, interestingly, is also typically characterized by two adjectives with opposite meaning whose main job is to characterize edges and surfaces: sharp and blunt. Sharp criticism is, presumably, the kind that pierces; Blunt criticism perhaps leaves a dent. All of the textual evidence points to the fact that in English, we make no distinction between the hurtful effects of words and weapons: the nouns, verbs, and adjectives that have original denotation in the physical world very soon cross over to characterize the figurative power of language to inflict pain. The mystery is surely how the old "sticks and stones" proposition (first attested in the 19th century, but identified then as an "old adage") ever gained any currency. It was surely helped considerably by harried parents, who seized on it as a very handy but ineffective response to "Mom, he called me a _________!" Perhaps the "sticks and stones" adage is inspired by stoic philosophy? Nevertheless, this is an interesting article. It is nice to see how words cross over from the physical to the figurative world. I wonder how often this happens in the other direction. I mean: ‘worry’ is said to refer to the Dutch ‘wurgen’, i.e., strangling. ‘stress’ according to Etymonline.org refers back to Latin ‘stringere’, i.e., drawing tight, and ‘anguish’ is based on Latin ‘angustia’, derived from Latin ‘ang(u)ere’, i.e. “to throttle, torment”. All of those thus point to physical violence then, but that is no longer clear to most people. --- I recognize most of the verbs you mention in their Dutch equivalents. Interesting points, Vincent and Thomas. Vincent, I can't think of a word that has gone from some other meaning to denote physical violence or harm, but I'll keep racking my brain about that and will post here if I think of one; and I invite readers to do the same. Thomas, excellent observation, and I wonder if it points to the fact that everything we know begins and ends with sensory experience--and we draw nearly all metaphors out of that. We might see it as a mark of social progress that our present-day blows, blasts, slashes, and other attacks draw less blood than they did centuries ago - or we might conclude that we've simply learned more sophisticated ways to inflict pain. It's also possible that we're drawing our conclusions largely from journalistic prose, which is governed by the principle we were all taught in school - that one must choose "punchy" verbs whenever possible. To Mr. Hargraves, this is the first time I have seen a written expression of "racking" one's brain. I had always visualized the phrase as "wracking," the way one is "wracked with pain." Do these phrases have an origin somewhere? Or is one of them a mistaken understanding? I'm sure there are online sources that trace the origins of "rack one's brain". Words are the root of all evil. I recently wrote a book about sticks and stones versus words: LAUGHING AT POLITICAL CORRECTNESS. As Vincent alluded to above, the stoic Marcus Aurelius wrote about the "tranquility that comes when you stop caring what they say." Words cannot give offence to those who refuse to take it. 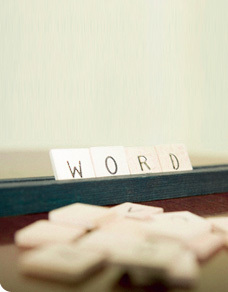 We arm words only when we allow them to reverberate in the stories and images we call mind. What needs to be understood is that words are about their authors, whether or not such stories are about those who the words pretend to describe. Your words, Orin, attest to our shared fascination with language; my words attest to my own conservative fear that the failure to eschew currently disfavored words can lead to loss of reputation and livelihood. Even Mark Twain must endure Bowdlerization for his observations and insights to endure despite the sensitivities of our fragile new egos.